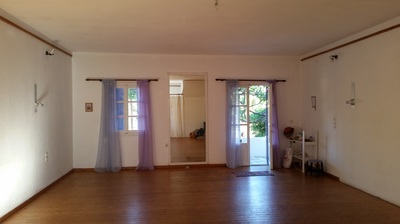 IRIS Studio is a big, beautiful room with wooden floor right on the main beach of Aegiali. We are open most of the year but with a richer program from April to October. You are welcome to drop-in for a Yoga class, a meditation or a workshop. Or you can participate in a retreat or seminar covering something in the fields of personal growth, alternative therapies, yoga, meditation, dance and other. 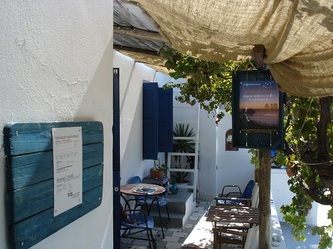 You can also make an appointment for an individual session of relaxing/therapeutic Massage, Schiatzu, Reflexology, Reiki. We can also host groups and design retreats which can include the studio, accommodation, meals, walks and other activities. 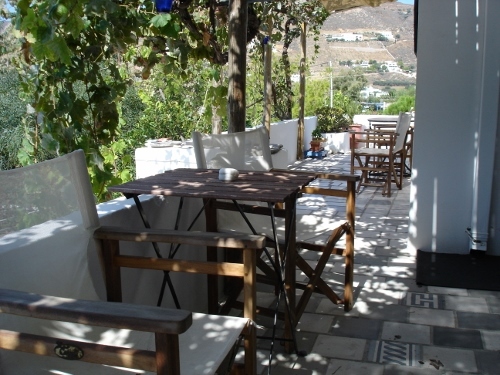 The village of Aegiali is not more than a hundred meters away and the sea is just in the front. 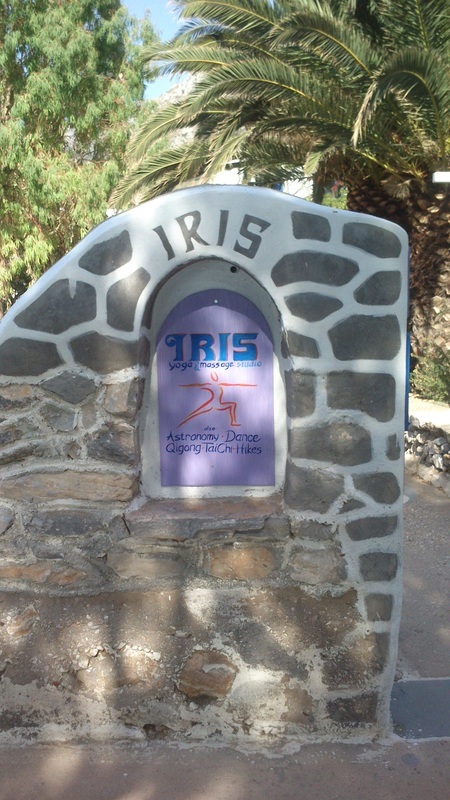 The IRIS studio works as a co-operative together with Celini restaurant-cafe in the same building. ​In Celini you can enjoy healthy food with a personal touch to the traditional Greek as well as spicy, oriental alternatives, lots of vegetarian dishes, smoothies and coffees. Organic, local and homemade as much as possible according to the local market. Accommodation can be arranged in small but comfortable pensions near the IRIS studio.